The Alpha Tumbler will look great in any bathroom. 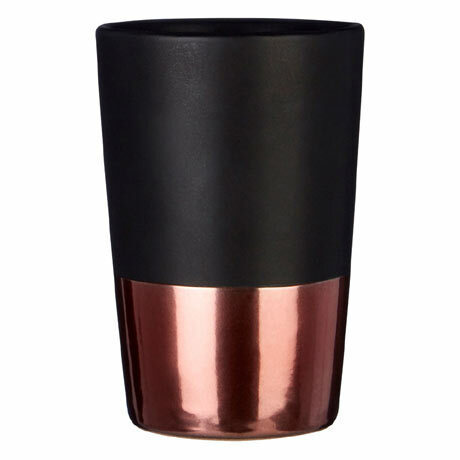 Made from robust stoneware, the tumbler features warm copper tones on its base that creates an elegant counterpoint to the jet black. To clean simply wipe clean with a soft cloth, we don't recommend the use of abrasive cleaners.